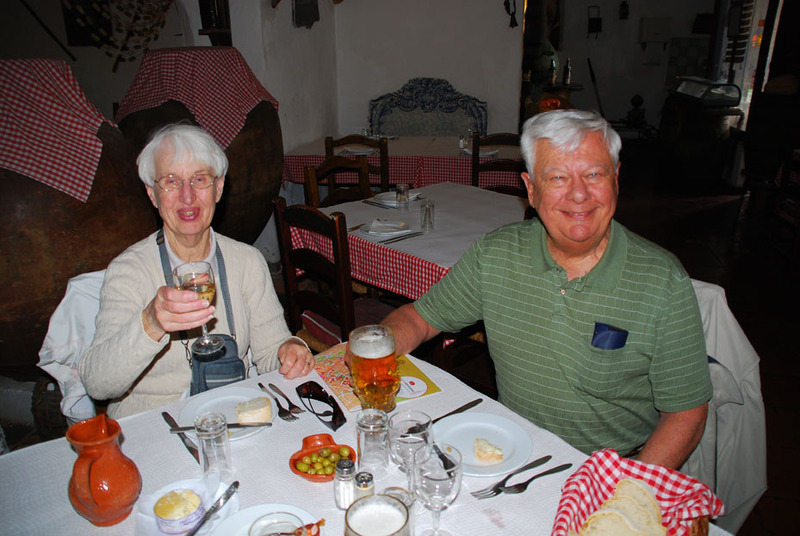 Art and Carol from New Jersey have taken six trips with European Focus since 2006. On the 22nd of May they arrived in Lisbon for their seventh. This time around we will be exploring parts of central and southern Portugal, along with southern Spain including Seville, Cordoba, Toledo and Caceres. Art and Carol enjoy leisurely starts to the day and an afternoon break which they use to record the locations of the many photographs they like to take during the day. This kind of pace would be impossible on a bus trip, which is all go-go-go from sunup to sundown and sometimes beyond. We appreciate our many return guests! 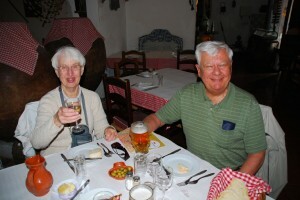 Posted in Private Tours in Europe and tagged clients, europe, evora, guests, in, private, repeat, return, tours.